“Substantial” story DLC is scheduled to release in 2014 for Rockstar’s latest crime-filled extravaganza GTA V. According to the latest Newswire, the studio plans to release more adventures revolving around the game’s trio of main characters. The stream of content for GTA Online also continues this month, with the deathmatch mode and race creator beta releasing this week. However, the much more important news involves the often requested online heists. Heists are currently in development and we are working very hard to get them as polished and as fun as they can be. Stay tuned for much more detail in the New Year. 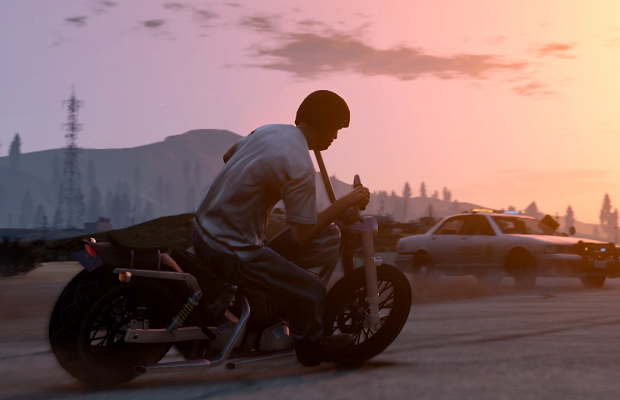 GTA V released in September of this year, earning an astounding $800 million in its first 24 hours. GTA Online soon followed, along with a string of DLC releases for the multiplayer mode. No campaign DLC has been released to date.